The persona Phil Harris created on the radio was one who was easy to like. He was a happy-go-lucky hep cat who never met a bottle or a pretty girl that he didn't like. By reputation, he made acquaintances with plenty of both. Most of all, the radio Phil Harris was easy to like because he was a fundamentally happy fellow, as willing to laugh at himself as he was to laugh at those around him. When your boss is Jack Benny, of course, there is plenty around you to laugh at. Phil is best remembered as one of Benny's many “second bananas”, although he had a relatively successful career beyond the Jack Benny Program. He was never quite a superstar, but that seems to have been just alright with him. On June 24, 1904, Wonga Philip Harris was born to circus performers Harry and Dollie Harris in Linton, Indiana. Harry, a circus band leader, taught the lad to play several instruments and gave his son his first gig, playing drums under the big top. The boy played in movie houses in his hometown, but got into music in a big way when the family settled in Nashville. He dropped the Wonga and played around the South with his band, the Dixie Syncopators. Eventually, Phil found his way to the West coast, leading the house band at San Francisco's St. Francis Hotel, and later headlining at L.A.'s Cocoanut Grove nightclub at the Ambassador Hotel in 1932. 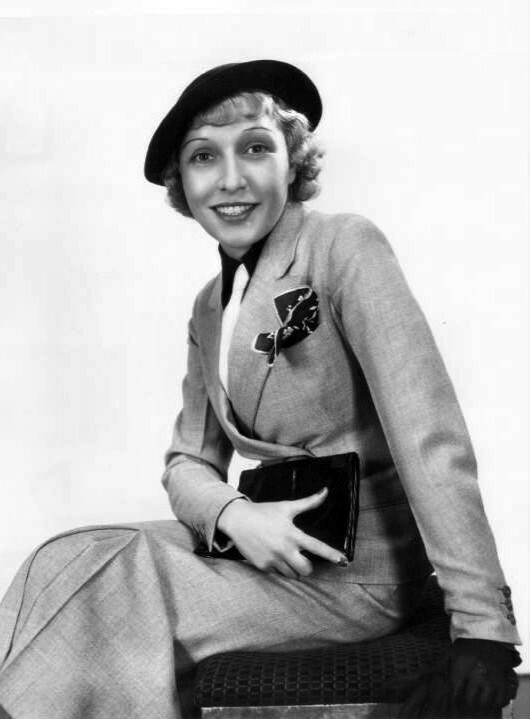 In 1936, Harris was hired as the musical director for The Jello Program Starring Jack Benny. It became apparent off the air that Phil could handle a snappy comeback, so Jack encouraged his writers to give him more lines. The character developed for Phil was above remembering names and had nicknames for most of the principals on the show. He always greeted the boss with “Hiya Jackson” and Mary Livingstone became “Livvy”. On Phil's first appearance, Jack describes him as a good looking fellow, the kind of guy you can trust with your best girl, if you can trust your best girl! The real success in Phil Harris's life was his marriage to actress Alice Faye. 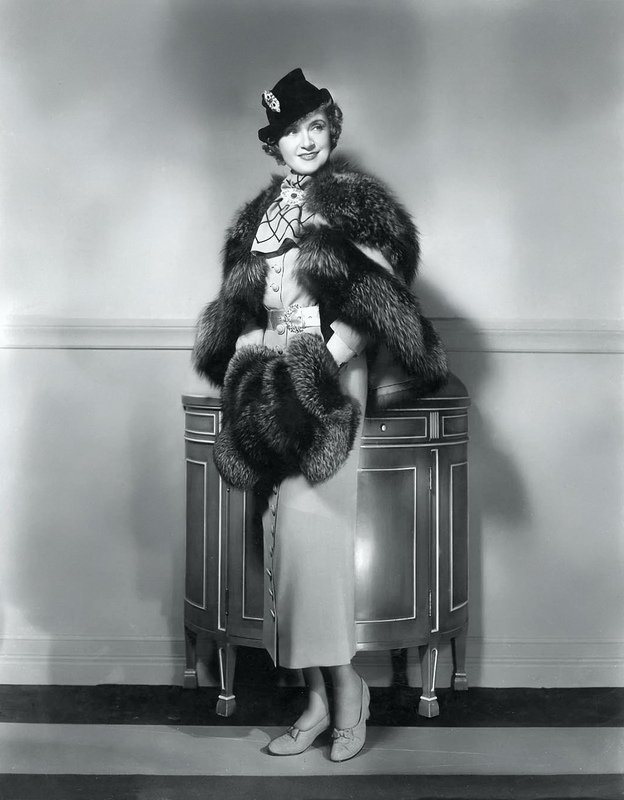 Alice was one of Darryl F. Zanuck's protégées, one of 20th Century Fox's most dependable money makers. Faye and Harris first met on the Rudy Vallee's Fleischmann Hour in in 1932. 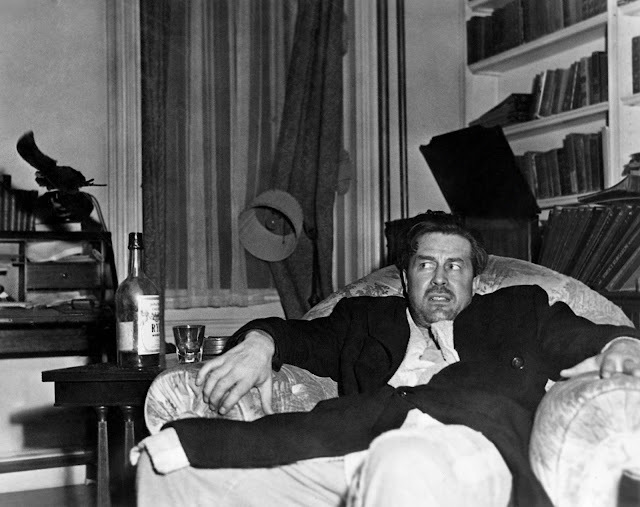 Although they were both married to other people at the time, Harris got in a fist fight at the Trocadero nightclub in 1938, defending Faye's honor. After they both divorced the couple was married in 1941. Phil and the whole band joined the Merchant Marine during the War while Alice continued her movie career. The movie career soured during Faye's last picture with Fox. Zanuck was grooming another protege, and ordered many of Faye's scenes cut to cast a better light on the new girl. Alice was so upset that after the screening, she got into her car, drove off the lot and left the key to her dressing room with the guard at the gate. Her movie fans begged her to come back, but Alice found plenty to do, learning to run a household and raising the Harris kids (Phil Jr, adopted during Phil's first marriage, and daughters Alice and Phyllis) and running a household. She was still able to work with Phil in radio on The Fitch Bandwagon. 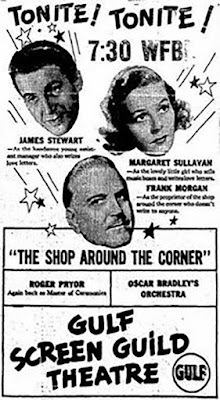 The program was a showcase for big bands, including Harris's, but with the addition of Alice it became a delightful family situation comedy. The Fitch Bandwagon morphed into the Phil Harris/Alice Faye Show when a new sponsor, Rexall Drugs, came on board. The Harris' essentially played themselves, and the shows featured a song from each of them each week. The show was often in the top 10, and may have actually increased Alice's popularity after she left the movie business. Phil remained part of the Jack Benny Program. There was a scheduling conflict when Jack left NBC for CBS. Phil would only appear during the first half of Jack's show, then left the studio to walk over to NBC for his own show. In 1952, Bob Crosby took over as Jack's music director. There was some talk of bringing the Phil Harris/Alice Faye Show to TV, but the Harris' were not particularly interested. 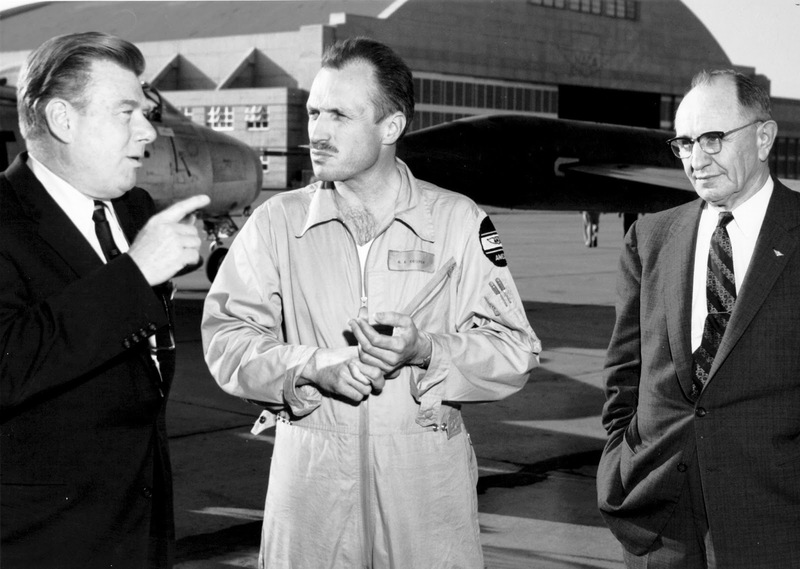 Phil had a small part in the 1954 John Wayne film, The High and The Mighty. He also took his talents to the Disney Studios, appearing as Baloo the Bear in The Jungle Book and Abraham de Lacey Giuseppe Casey Thomas O'Malley the alley cat in The Aristocats. Phil Harris died of a heart attack at his home in Rancho Mirage, in 1995. Alice had Phil's remains cremated, and kept them near her for the rest of her life. After her passing, she was also cremated, and they now share a space in the mausoleum at Forest Lawn. Two stars on the Hollywood Walk of Fame honor Phil Harris, at 6508 Hollywood Blvd for his work in recording and at 6651 Hollywood Blvd for his contributions to radio. By definition, all Radio Stars are voice actors. 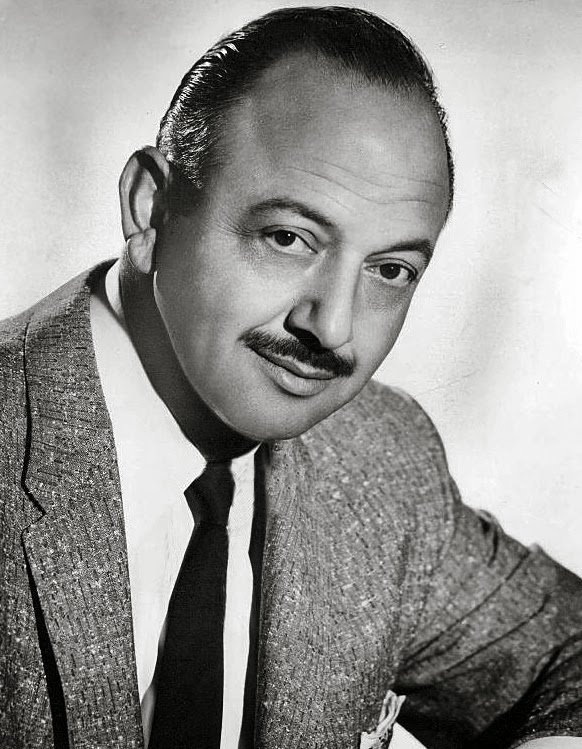 No one had as many voices as Mel Blanc. Or perhaps, all those voices had Mel Blanc. Several voice actors have been called “the man of a thousand voices” with some degree of exaggeration. Mel's son, Noel, claimed that Mel's count was closer to 1500. Mel was born in San Francisco, the second son of Frank and Eva Blanc, on May 30, 1908. The family moved to Portland, OR, where Mel attended Lincoln High school. Mel has been always fond of making up voices and clowning. At the age of 16, he decided to change his last name because a teacher warned him that he could end up that way, a Blank, a nothing. It is hard to imagine someone as good natured being kept down by such a prediction. He began working in vaudeville throughout the Northwest, and at 17 was the youngest orchestra conductor in the country. Mel's radio career began at KGW in Portland on the show The Hoot Owls. Mel became popular with his ability to so many voices and character, and in 1932, he left for Hollywood to find everlasting fame. At this time, fame eluded him, but he did meet and marry Estelle Rosenbaum. The couple returned to Portland, where Mel went to KEX to produce and co-host the late-night Cobweb and Nuts show. By now, Estelle was gaining confidence in her husband's talents, and convinced him to give Hollywood another try. He found a job with KFWB, a station that belonged to the Warner Brothers Studio. In 1937, Mel found work with Leon Schlesinger Productions, whose cartoons were distributed by Warner Brothers. Mel is best remembered for the many cartoon characters he brought to life in Warner Brothers cartoons, but in some ways it was just a stepping stone. The animators loved the way Mel brought their drawings to life. When Mel was recording a voice, he would become the character. Noel claimed he could watch his dad working, and even with the speakers turned down he could tell which character he was playing. Mel was not the only voice talent on Schlesinger's payroll, but he was the most versatile. Voice actors rarely got screen credit in cartoons. When Mel thought he deserved a raise, he went to Schlesinger with his demands. Notoriously tight-fisted Schlesinger was not about to give up anything that would eat into his profits, but did agree to credit “Voice characterizations by Mel Blanc” on each cartoon. Now that Mel's name was appearing on screens across the country, he began to get even more radio work. He became part of the company on The Jack Benny Program as a sort of human sound effects machine. He played Jack's barely-running Maxwell automobile and gave the growls of Jack's pet polar bear, Carmichael. One day Mel told Jack “Mr. Benny... I can talk too!” Jack told his writers to let him, and Mel became Polly the Parrot, a tormented department store clerk, Jack's long suffering violin teacher, and the announcer at the train station ("Train leaving on track five for Anaheim, Azusa and Cu... camonga!"). Mel had plenty of other radio work. He was the friendly postman on the Burns and Allen Show, as well as appearing on Fibber McGee and Molly, Abbot and Costello, and several AFRS programs. He gave voice to Yank magazine's Private Sad Sack. Mel's success on the Jack Benny Program helped him to get his own show on CBS. Unfortunately, Jack's writers did not come along, and the Mel Blanc Show only lasted the '46-'47 season. A Star on the Hollywood Walk of Fame at 6385 Hollywood Blvd honors Mel Blanc for his work in radio. With her syrupy Southern drawl, Judy Canova hosted her show with a disarming charm. Opening with a monologue, she'd then sing a number and go into skits or performances of the musical guest. 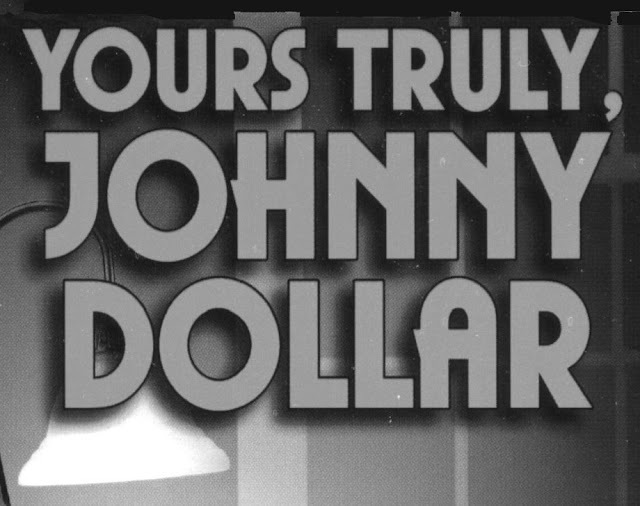 Each half an hour episode was sponsored by Colgate and aired Tuesdays by CBS, from July '43 to May '53. 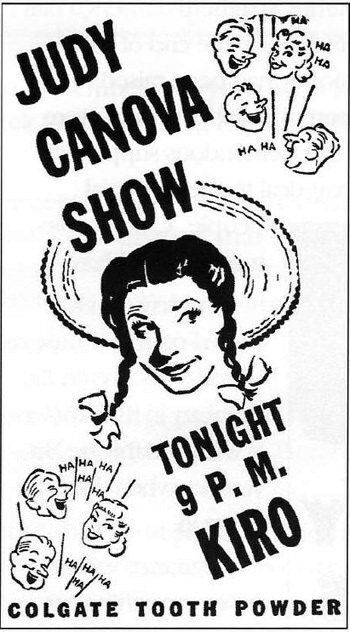 Other stars of the Judy Canova Show were Mel Blanc, Sheldon Leonard, Verna Felton and Ruby Dandridge. It was on the Judy Canova Show that Mel Blanc developed the Sylvester the cat and Speedy Gonzalez characters he would later make famous on cartoons, though they appeared here under different names. The song "Goodnight Soldier" was a wartime favorite, and Canova recorded it in 1946. Canova (1913-1983) was born into a vaudeville family in Starke, Florida. Though not from the Ozarks, she somehow acquired the moniker "the Ozark Nightingale." Like just about everyone in show business, she aspired to be taken seriously. In her case, though, she was saddled with the country bumpkin image early on and never shook it. However, in addition to her radio work and her singing, she also made several movie appearances. Today marks the birthday, in 1907, of Gene Autry, song-writer, singer, cowboy, singing cowboy, actor, radio star, and baseball team owner. A teenage Autry took a job operating a telegraph wire, sending people's messages for them. One day, in walked the comedian Will Rogers. Autry, a good worker though he may have been, happened to have been playing a guitar between customers. Rogers was impressed with what he heard and encouraged Autry to go into show biz. To Autry this meant landing a spot of Tulsa's KVOO, billed as "Oklahoma's Yodeling Cowboy." From there it was a successful radio career that would then propel Autry into the role of radio host, taking the helm of a show sponsored by Wrigley's. The CBS show put on a spread, not just of music and comedy, but even drama. It lasted a lot longer than a stick of gum: 16 years in all. 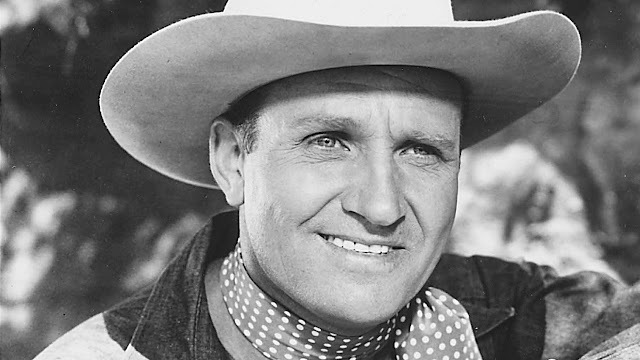 In the spirit of honoring that kind of longevity, we take off our hats and offer a cowboy salute to Gene Autry. One of the several radio personages born on this day is Mary Marvin Breckinridge Patterson, one of Edward R. Murrow's "boys." A female to be sure, Mary often worked under the name Marvin. Whatever gender issues may have been in play, this strategy also kept her distinct from her cousin, Mary Breckinridge, noted for starting the Frontier Nursing Service. 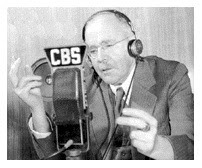 Breckinridge filed some fifty reports for Murrow's team on CBS. Many of her reports were from Germany. In 1940, this assignment abruptly came to an end and Mary went back to photojournalism, also becoming a philanthropist. 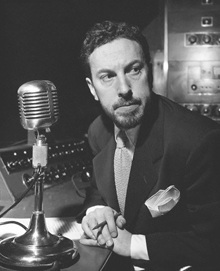 Godfrey broke into the national scene in 1945 by being the journalist tapped to narrate President Roosevelt's Washington, D.C. funeral procession. From there, it was Arthur Godfrey Time, a CBS morning show with monologues, guests, and maybe some ukulele strumming from the host. He also starred in a variety show Arthur Godfrey's Talent Scouts. This program brought in ace guests such as Roy Clark, Lenny Bruce, Tony Bennett, and Patsy Cline. It was Godfrey's television appearances with ukulele in hand that reportedly helped boost sales of that instrument. Quite an accomplishment, indeed. Thanks for the memories, Arthur Godfrey. Today's birthday girl--born today in 1884--would've had no problem starting conversations at cocktail parties. She was not only Glinda the Good With in The Wizard of Oz, but also the wife of Florence Ziegfeld, Jr. of Ziegfeld Follies. Her party conversation partners may also have recognized her from her CBS radio program The Billie Burke Show. Whereas throughout the history of American comedy in any medium it's been commonplace for humor to center around the characters' vices and the trouble their machinations get them into, Burke's character on this sitcom was funny while being generous and caring. Episodes often centered around her helping someone but making delightful gaffes along the way. So here's to Billie Burke, the talented actress with the radiant voice. July 9, 1878 was the entrance of Hans von Kaltenborn, or better known as HV Kaltenborn. This American radio commentator had the intellectual mind and the voice for diction. He was destined to be a top choice for radio news reporting. Growing up in Wisconsin, Kaltenborn planned on a career in news reporting starting out as a newspaper reporter. In 1940, he moved over to NBC and in 1948 had one of his first gaffes in reporting. Kaltenborn predicted Dewey the winner in the Presidential elections;although Harry S Truman would eventually receive the victory. He handle his mistake with class and decorum. He left broadcasting in 1953; still adding color commentary at times for upcoming elections. HV Kaltenborn would portray himself in two motion pictures; including James Stewart’s lead in Mr. Smith Goes to Washington. 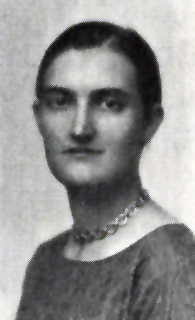 In June of 1965, Kaltenborn passed away. He was inducted into the National Radio Hall of Fame in 2011. Born December 26th, 1921, Steve Allen was an American television personality, actor, and comedian best known for the Steve Allen Show. Allen was born in New York City, but grew up on the south side of Chicago with his mother’s Irish Catholic family. His first radio job came in Phoenix, Arizona on station KOY. After his job as an announcer for KFAC in Los Angeles, Allen moved to Mutual Broadcasting System in 1946, where he starred in a five-nights-a-week comedy show, Smile Time, with Wendell Noble. Allen moved again, this time to CBS radio, where he hosted an hour long talk show. His popularity skyrocketed, and audiences were often standing room only. 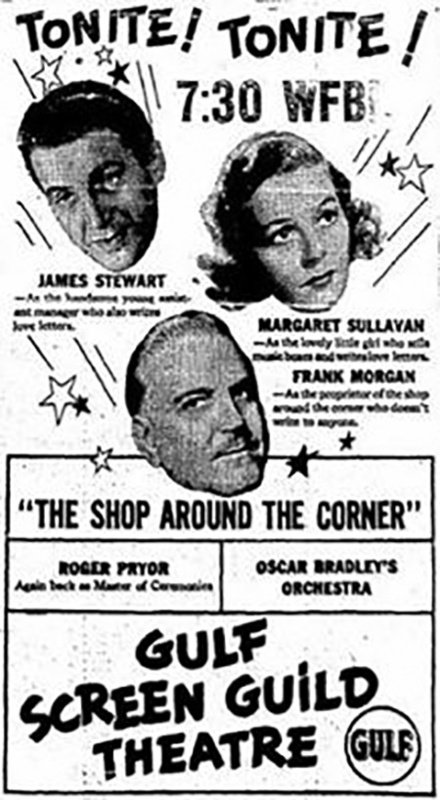 In 1950, Allen’s program replaced Our Miss Brooks, exposing him to a national audience for the first time in his career. Making the leap to TV, Allen helped to create the Tonight Show with Sylvester “Pat” Weaver. Several years later, NBC offered him his own prime time slot that would compete with The Ed Sullivan Show. Unfortunately, the TV Western Maverick was often able to best both Ed Sullivan and Steve Allen in audience size. Allen passed away on October 30th, 2000 from a massive heart attack. He now has two stars on the Hollywood Walk of Fame - one for radio, and one for television.